The UKCRC TDCC’s annual meeting was held on 16th November, at the Kia Oval in London. 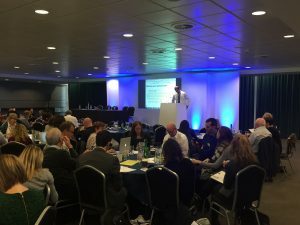 UK Biobanking Showcase was a unique opportunity to bring together all stakeholders in the field. The day kicked off with a brief introductory video on the centre; Prof. Dame Jessica Corner, Pro-Vice-Chancellor at The University of Nottingham then opened the day with her thoughts on the initiative stating that humans tissue donations are a precious resource which should be made more accessible for research. Peter McIntyre, CancerWorld journalist then went on to discuss observations from his article Unlocking progress: why we need to change the culture of biobanking making the point that ‘Good Biobanks put patients first’. A panel discussion on the topics raised followed, featuring Mairead McKenzie, ICPV member; Dr. Nick Easom, UCL; Prof. Andy Hall, Conferderation of Cancer Biobanks and Dr. John Spaull, GSK. 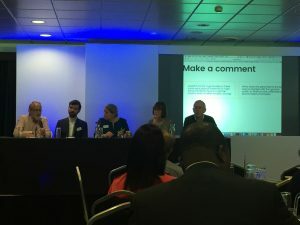 The discussions, chaired by Amanda Gibbon varied from the incentives that drive research and hinder sharing to the data that’s needed to get optimum use from samples. ‘No amount of data is enough’ was one valuable point made by Dr. Spaull. The research perspectives session demonstrated the variety of work that depends on human tissue donations. Rebecca Lumsden, ABPI gave an industry persepctive on how all stages of drug development are reliant on human tissue samples. Helen Stevens, sample handling manager at Genomics England gave an interesting overview of the 100,000 genomes project. Innovate UK’s Dr. Penny Wilson introduced Innovate UK and explained the vital role of human samples in precision medicine. Finally, Dr. Martin MacCabe talked about his experience of biobanking from a cancer perspectives. National Coordination of Biobanking is not needed. The UKCRC TDCC Director Dr. Phil Quinlan opened the afternoon with a quick introduction to the UKCRC TDCC and demo of the directory. Matt McLoughlin presented how Scientist.com can approve Biobanks for supplying to industry. Andrea Wutte from BBMRI-ERIC explained BBMRI’s role in defining quality standards across Europe. The afternoon ended with interactive sessions, featuring ELSI, The biobank boardgame and CM-Path. 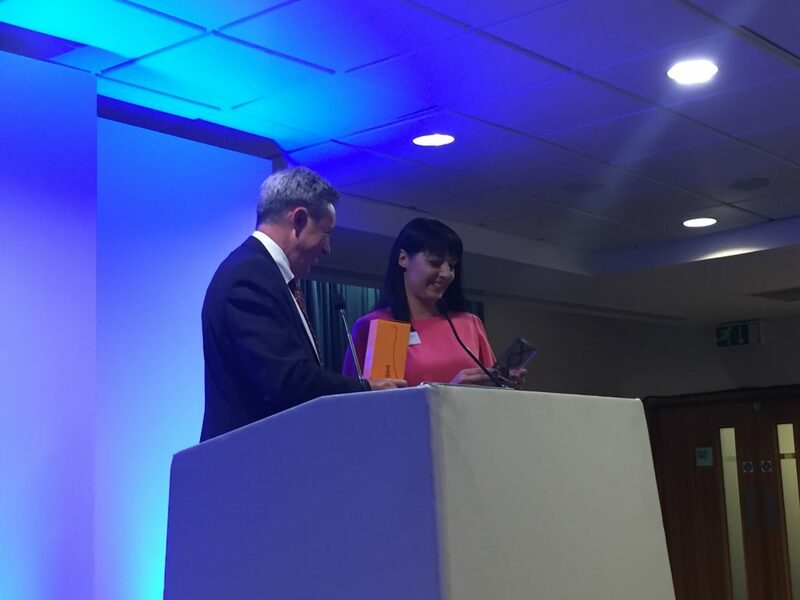 After some closing remarks by Prof. Brian Davidson (left) the hotly contested Biobank of the year Award was presented to Ethical Tissue! Find out more about them here. You can watch all the videos from the day on our youtube channel. This entry was posted in News and tagged biobank, event, meeting, showcase, speakers. Bookmark the permalink. ← UK Biobank of the year 2016 – shortlist announced!